This story was originally published on Vogue magazine earlier by Pip Usher. Here is a few quick synopses of the story. Batsheva’s skyrocketing success signals the way in which modest fashion – once a niche market – has entered mainstream consciousness. No longer dismissed as the dowdy domain of religious folk, this multibillion-dollar industry is being driven by a young and cosmopolitan consumer who demands coverage in accordance with her faith but refuses to skimp on style. It’s also been embraced by those who simply prefer an aesthetic that doesn’t cater to the male gaze. Even Hollywood stars are dabbling – at the Venice Film Festival, Tilda Swinton wore Haider Ackermann on two occasions, each time sporting a long-sleeved, ankle-swishing silhouette with a ruffled neck that brushed her jawline. In recent years, Western brands have made tentative attempts to court them. 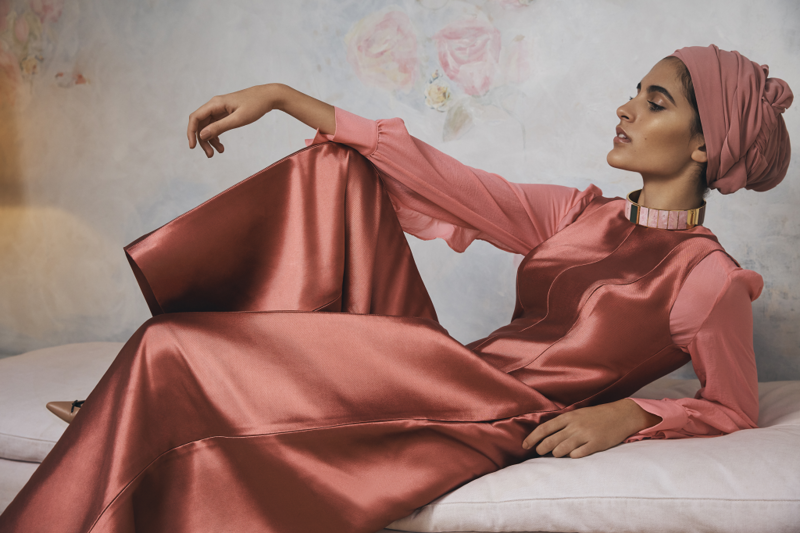 Every season, high-street retailer Mango releases modest-friendly collections of tunics, kaftans and maxi-dresses, and late last year, Nike announced the release of a high-performance hijab. In April, Net-A-Porter promoted capsule collections designed specifically for Ramadan by brands including Oscar de la Renta and Jenny Packham; the website also includes ‘modest’ as a category within its clothing menu, filtering all womenswear that fits the bill aesthetically, regardless of whether it was designed expressly for the modest market. A shift towards inclusion can also be seen with the advent of hijabi supermodels like Ikram Abdi Omar, who walked the catwalk for Molly Goddard at London Fashion Week, and Somali-American model Halima Aden, whose runway shows have included Max Mara, Alberta Ferretti, and Kanye West’s Yeezy label. This May, Aden made headlines as the first hijab-wearing supermodel to pose on the cover of British Vogue.